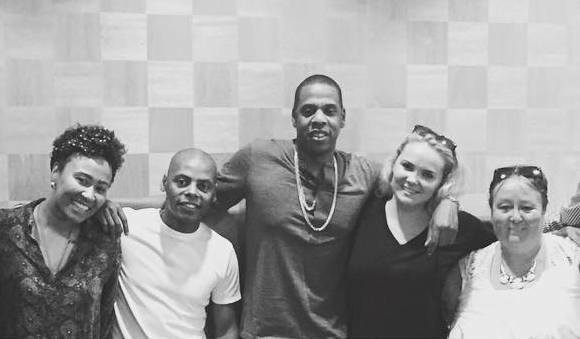 Seems Emeli Sandé is taking a gamble signing to Jay Z's Roc Nation. The label is well known for their failure to launch any new artist successfully. 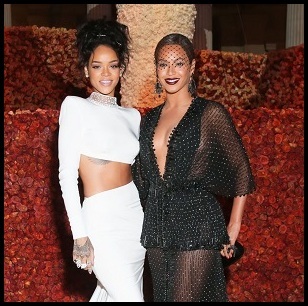 "Ruth and I formed a management company (Jupiter management) and we have joined forces with Roc Nation" she confirms. "I feel excited, energised and surrounded by a team that makes me feel loved, respected and fully understood." Roc Nation are still struggling to make Rita Ora happen. They didn't know what to do with Melanie Fiona and Bridget Kelly either, and where is Alexis Jordan? They now have Rihanna, but she was already a hit factory long before their hook-up. Even now, they're not doing her right. Look at how they are handling her current album roll out. Not really a good move, but Ms Sandé clearly feels they can give her that Stateside exposure. I just hope her new music gets promoted the right way. I've been away so long because I desperately needed to experience real life. To pop my bubble and learn how to live, how to breath , to embrace self love & become completely comfortable, certain & proud of the woman I had become. Being a musician has been my one and only dream from when I was 6 .That intense focus helped me achieve my goals but also took me far away from living. I'd never broken any rules, never had a teenage rebellion or taken the time to explore myself as a human being away from music. Let's just say the past 3 years have been my crash course in life and It's been an intense journey full of tough decisions and emotional living , but the outcome has been so so beautiful. I feel free , honest and finally , fully AWAKE!!! Ruth Titmarsh has supported me from day zero..From 2 people in the audience in camden & top and tailing in a single bed for the "Diamond rings" promo , she's always been a believer! With no financial incentive she never let me give up on myself and her loyalty & support I feel in my SOOUUL!!! I love my former manager, he had been a father figure to me since I moved to London at 16, we had such an incredible journey together. I'm so thankful to him & his family for all their love and support & I'm immensely proud of what we achieved together. As I grew & changed rapidly from a girl into a woman though, I felt I had to begin to find the perfect match for me at this stage in my life & career. Ruth and I formed a management company (Jupiter management) and we have joined forces with Roc Nation. I feel excited, energised and surrounded by a team that makes me feel loved , respected and fully understood. My parent's blessing was the icing on top! The music is very real, it's my diary over these past few years. The highs, the lows and everything in-between, I wanted to tell the whole truth with no decorations. I want us to meet for real this time. I'm so excited to share my story with you, for those who have stuck by me and been waiting patiently - I see you!! Your love and support has helped me through! I want to make this music perfect for you and literally can't wait to be back on stage giving you my all!